Some 50 miles up in the sky begins a dynamic region of the atmosphere known as the ionosphere. The region is filled with charged particles created by extreme ultraviolet radiation from the sun. At the base of the ionosphere, charged particle motions create a global current called the “atmospheric dynamo.” Generally moving in loops from the equator to the poles, the dynamo changes daily based on solar heating and magnetic activity – but what keeps it moving isn’t well understood. This July, scientists will launch four rockets from NASA‘s Wallops Flight Facility, Va., for a five-minute journey some 100 miles up into the atmosphere. 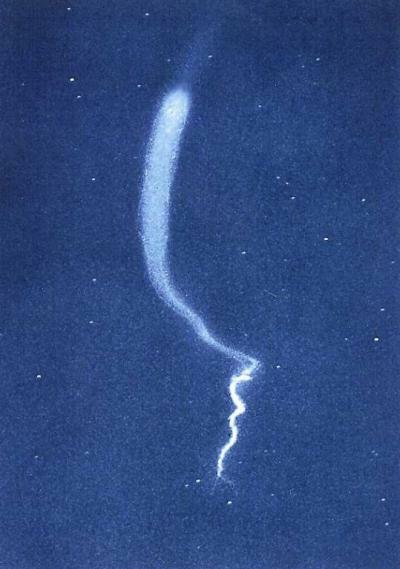 The rockets will collect data on the charged particles as well as winds of neutral particles that sweep through the lower ionosphere and how each affects the other, ultimately causing these dynamo currents. The variations matter because all of our communications and GPS satellites send signals through the ionosphere. A disturbed ionosphere translates to disturbed signals, so scientists want to know just what causes the ionosphere to behave in specific ways. The rockets — known as sounding rockets from the nautical term “to sound,” meaning to measure — will launch sometime between July 5 and 23 depending on ionospheric and weather conditions. NASA‘s sounding rocket program at Wallops dates back to the agency’s inception in 1958. Not only do sounding rockets offer a low cost way to access space, they also provide access to areas of the atmosphere too low for satellites. What happens on such a typical day is not, of course, the whole story. The charged particle loops are guided by electric fields generated by winds and solar activity. But in the lower part of the ionosphere, there are a billion times more neutral particles than charged ones. The neutral particles, moving in their own wind patterns, can collide with the charged particles and slow them down. Increased solar activity can adjust the magnetic fields around Earth and cause even more variation in the ionosphere. Ideally one set of rockets will go up on a day of “quiet” solar activity, and the second will launch into increased space weather activity from the sun. Both sets of rockets will collect data on the currents, the electric fields, the electron density, the neutral gas density, and the motion of the neutral wind. The researchers will compare information from the two flights to better understand how the solar wind and the neutral wind interact and cause those communications-jamming instabilities in the ionosphere.